Showing 40 of 9004 results that match your query. Product - Kitchen, shop, room, office clock with White Kettle Clock;Product Size: 9.5x9.25x1.5. Cute kettle design. Hanging or sitting on any desk top. Tell time. 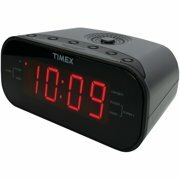 Kitchen, shop, room, office clock with White Kettle Clock;Product Size: 9.5x9.25x1.5. Cute kettle design. Hanging or sitting on any desk top. Tell time.